Website Design NYC » NYC Website Design Company » Giant Owl, Inc. If you're looking for a one-off custom website, you have come to the right place. From the initial concept to final production, it's all "you". General websites, eCommerce sites and much more. We will hand-draw a website design and concept for you to review. Once a concept is selected, we will design and code the framework. Once the content filling is completed, we will publish the website. Learn about our Custom Website Design & Development. Giant Owl only offers custom website design NYC and development; we do not purchase "templates" that hundreds of other companies use. We design and build websites that are custom to you and your business. The overall concept and look for a custom website comes from you, the client. Since the website is designed from the ground up, a custom design is created, a custom framework is coded, all of the elements and styles are custom and the graphics are custom as well. 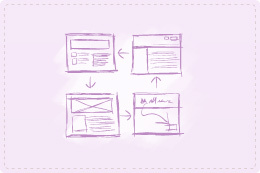 Custom work is more expensive than a template-based design. No one else has the same website, it's completely unique to you. 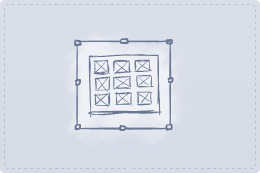 Our team will draw up illustration-concepts for you, which you will get to pick from. 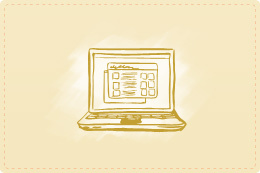 Once a hand-drawn concept is selected, we will then design the website. Once the design is approved, we will code the framework. Lastly, once the framework is completed, we build out all of the pages, code the forms, we "plug" in all of your content, which we call "content filling" and send the completed product to you for approval. Our custom website design NYC doesn't only include a "website". We're talking about corporate identity, logo design, desktop publishing and so much more. Our website design NYC designers are some of the best in the industry. Our pricing is standardized for all custom web design, which is why we publicly list our pricing for custom website design and development. A higher price does not imply higher quality, it simply means that more time was put into the development, design elements, building pages and formatting content and content filling. For example, one might need a 5-page website while others might require 50 pages. Naturally the 50-page website would be more costly because we would have to spend more time to add all of the content to the pages. The price would be the same for the custom design but you will be charged an hourly fee for the content filling, which is why it would be more costly. If you're looking for a NYC website design company, give Giant Owl a call today. * Design & Framework Production: Custom home page design, custom universal sub-page design with all standard elements, custom framework coding and up to ten pages of content filling are included. Additional pages and additional content filling for those pages are billed at our hourly rate listed above. Here you'll find answers to the questions we're asked the most. If you have not found the answer to a particular question; give us a call. We're here to help; not force you into "buying". How Much? Sign a Contract? How Long Does it Take? How much is a custom website going to cost me? Please check out our pricing, which is listed above. If you're uncertain as to how much your project will cost, please just give us a call. Do I have to sign a contract for a website? What about website hosting? Absolutely not. As with all of our other products, there are no contracts. Web hosting is included free for two-years with any custom website development project. You will be billed ten dollars per month after the two-year period is up. How long does it take for my website to be completed? Custom websites typically take about a month to be delivered with moderate "content filling". Once we know exactly what the scope of the project entails, we will provide you with an accurate turn-around time. Remember, this is a unique design, custom coded framework and content filling, in four-weeks or less. Questions or comments? Let us know what's on your mind.